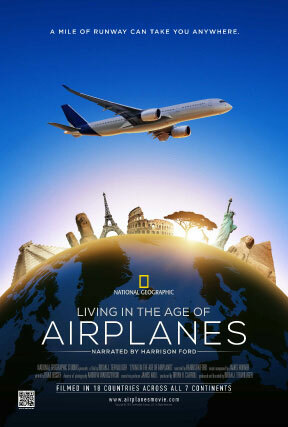 Living in the Age of Airplanes is narrated by actor and pilot Harrison Ford and features an original score by Academy Award®-winning composer and pilot James Horner (Avatar, Titanic). The film was shot in 95 locations around the globe, from remote places like the South Pole and the Maldives to historically significant sites of ancient civilizations. The narrative weaves together the profound ways that aviation has transformed our lives, connecting countries and cultures while expanding horizons and minds.